Here is the List of Events from the Riversports Association for 2019, including rowing, racing and other events that affect us on the site. 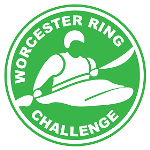 This year’s Hasler race is Sunday 5 May, and the Worcester Ring is Sunday 30 June. Please let me know of any issues using suehawthorn@btinternet.com .